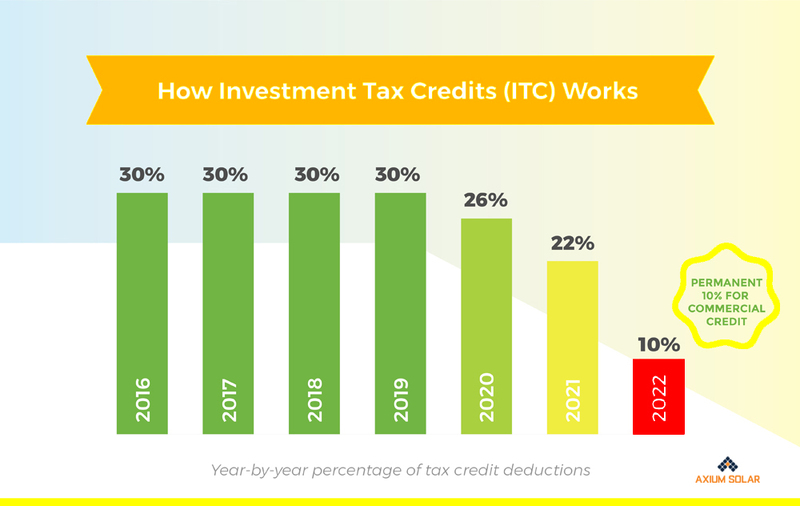 What is the solar ITC (Investment Tax Credit)? The solar ITC is a Federally driven program that is administered by the U.S. Internal Revenue Service. It allows solar owners, both residential and commercial, to take a specific incentive amount when filing taxes. The incentive amount available decreases over time so most people choose to take advantage of the higher percentage by installing solar sooner than later so that they can benefit from this tax incentive. 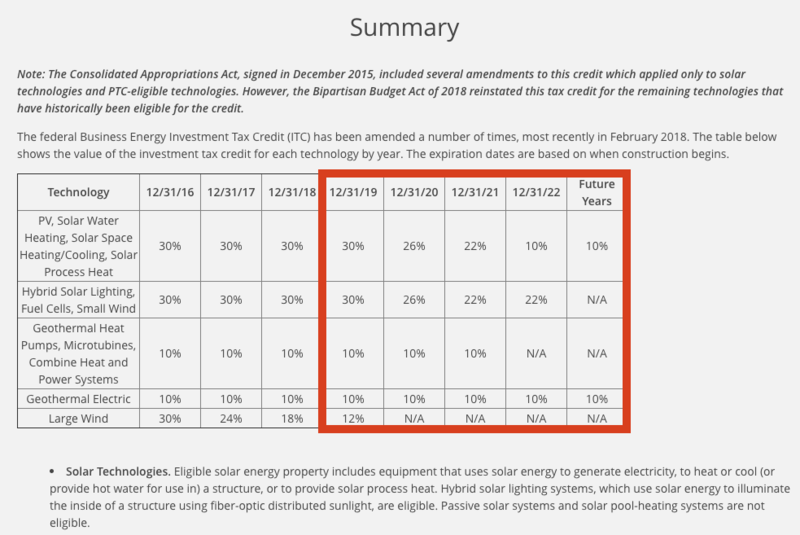 Note: If you are leasing your solar or utilizing a PPA, you may not be eligible. There are also requirements regarding when your array must be commissioned that pertain to the amount of ITC you may be eligible for.